My ideas will bring out the importance of maintaining this notebook and how it will make our life so much easier. We all have files to keep our insurance information, receipts, and other forms that we need, but this is a totally different idea. Six years ago my husband was diagnosed with cancer and that was my motivation to create and maintain a family medical notebook. We were sent to so many different specialists, and each one required that we fill out about 5 pages of medical questions. Some of the more difficult ones were about your siblings and parents health, as well as the year for every surgery you may have had since childhood. 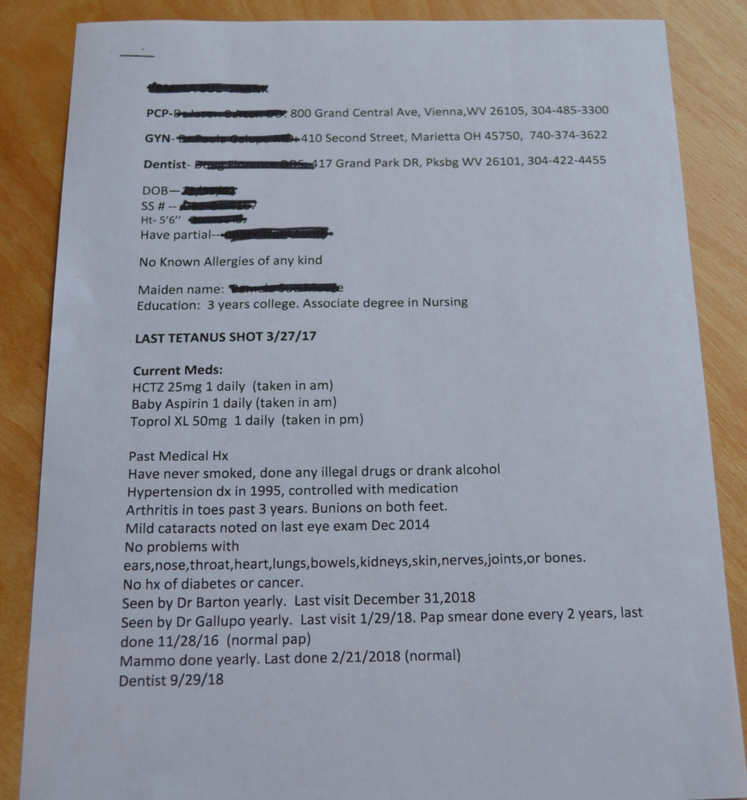 After the second specialist visit, I typed up all of the medical information that I knew we would need. I started the notebook. created a timeline for each of his visits, and carried this book with me anyplace that we went. No matter how hard medical facilities try, there are always communication breakdowns, and medical updates do not always get to each other. Many times, my notebook came in valuable to give updates. 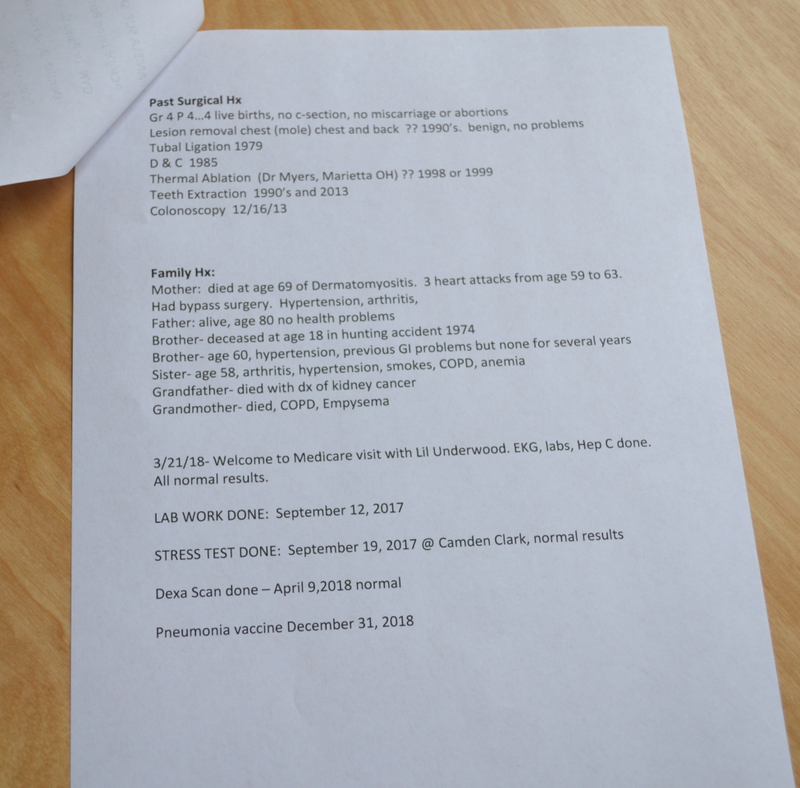 After the second year of doing this, I added a section with my own medical history. This notebook travels with us to every appointment. * Designate a notebook for the records that you can transport. Have a section for each member in the family. 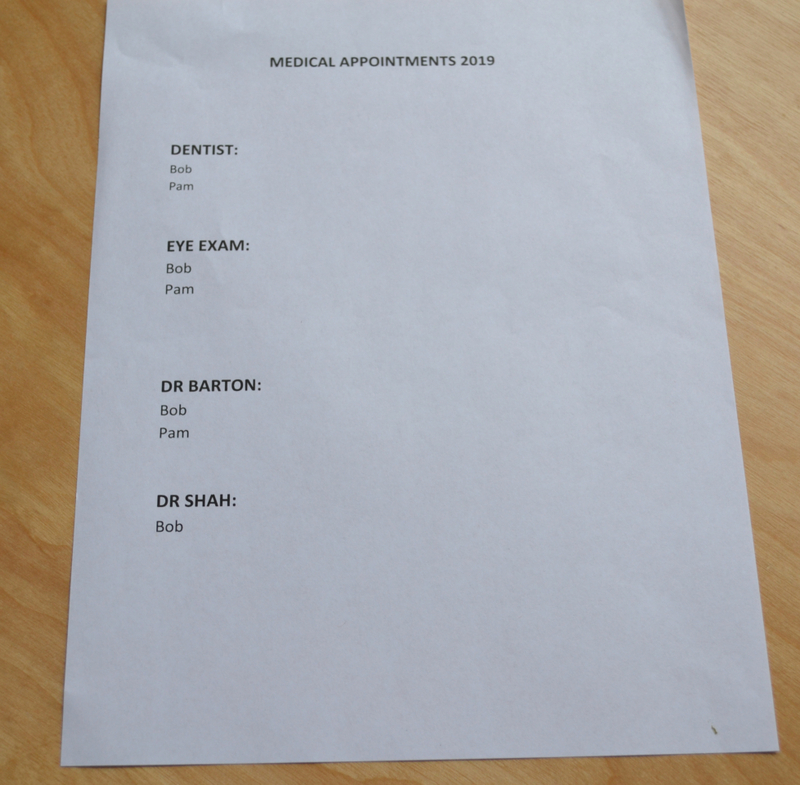 *Place a calendar for the current year in this notebook to write down all medical appointments. I still write them on my home calendar also. 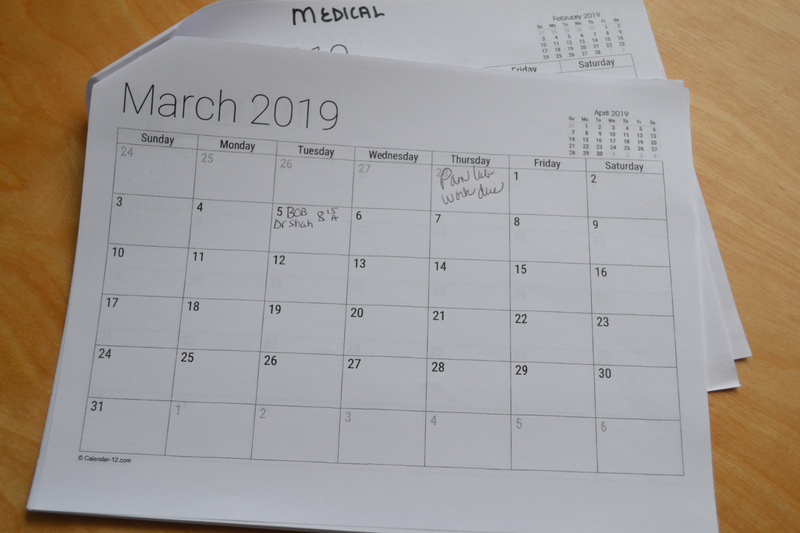 *At the beginning of each new year I add a page that lists all of the medical appointments/procedures for the upcoming year. It serves as a checklist to make these appointments. *Include a copy of your Living Will and Medical Power of Attorney. Throughout the year, I keep accurate records of each medical visit that we have. This timeline makes it easy to reference for any questions a provider may have. *Create a basic information page for each member with name,DOB, allergies, PCP, dentist,ht and wt, if there are any dentures, metal in body, current medications, and last tetanus shot. I also include the date of last visit for PCP and dentist. For females you should include date and results of last mammogram and pap smear. Include dates for any X Rays and lab work done. 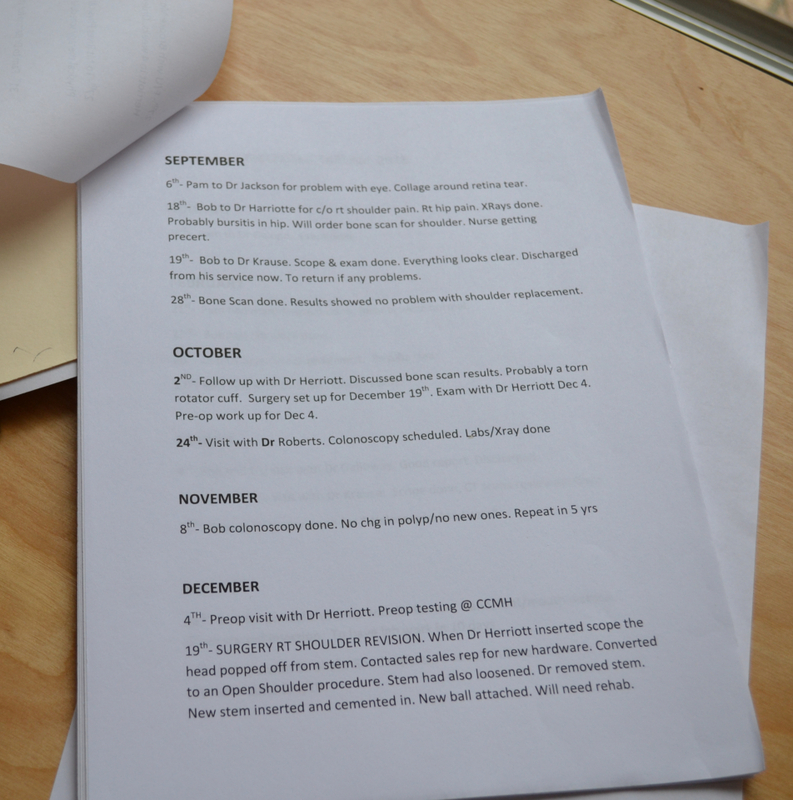 *Include a page for past medical history. * List surgical history with approximate dates if not known. *The final page I have is family history. Include history of mother, father, and siblings. 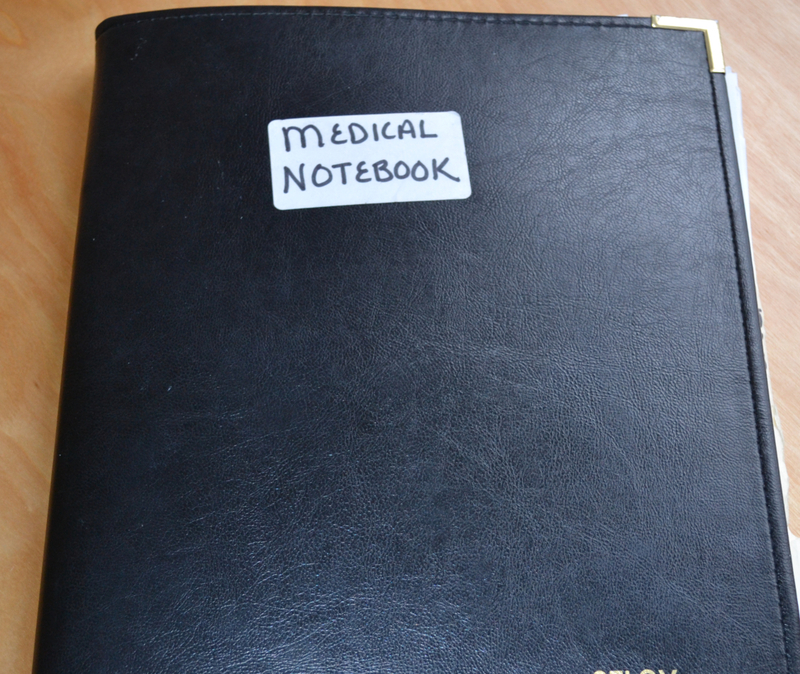 I keep this notebook updated and it has made medical appointments so much easier. My husband knows where this notebook is and would be able to provide the necessary medical information needed if I were not able to do so.